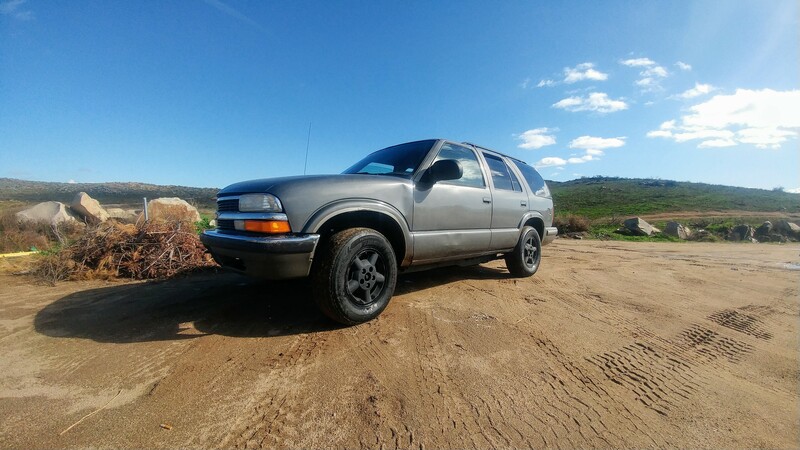 So I have decided to finally start a build thread for my 1999 Blazer LT 4x4 (I believe with Autotrac, its 4 button switch). I have owned it for about 4 years, it sat in the driveway for the last 3 years. I have read many build threads and I am excited to start my first ever real build. It will be a budget-minded daily driver/weekend toy. I want this truck to show the blue collar spirit. I am calling the truck Gutter Blazer. I have mistreated this truck, let it sit for years without moving/running, beat it up driving. But every time I stick the key in, it starts. It shows its strength, so I will reward it and make it stronger. Last edited by GutterBlazer; 01-01-2017 at 05:12 PM. I had replaced the brake rotors and calipers all around not too long ago, and at one point the lower intake manifold gasket needed to be replaced so i bought a gasket kit and a friend helped install. Don't have pictures of it, but motor runs great since then, still needs the cooling system flushed and get some new liquids in there. Will be taking care of that in the next week or two, whenever time allows. This project picked up when i needed a vehicle to drive to work. 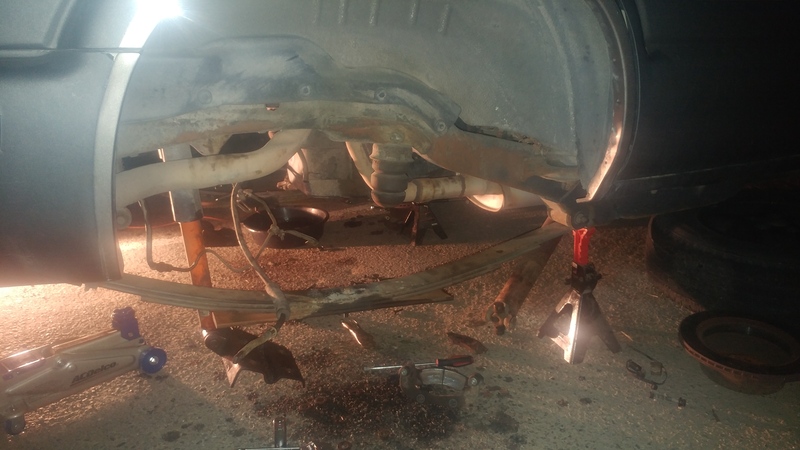 I was driving home from work a few times and would hear a loud clanking noise coming from the rear. Turns out it was my rear diff. A few teeth were chipped and the loose metal was clanking around in the differential. 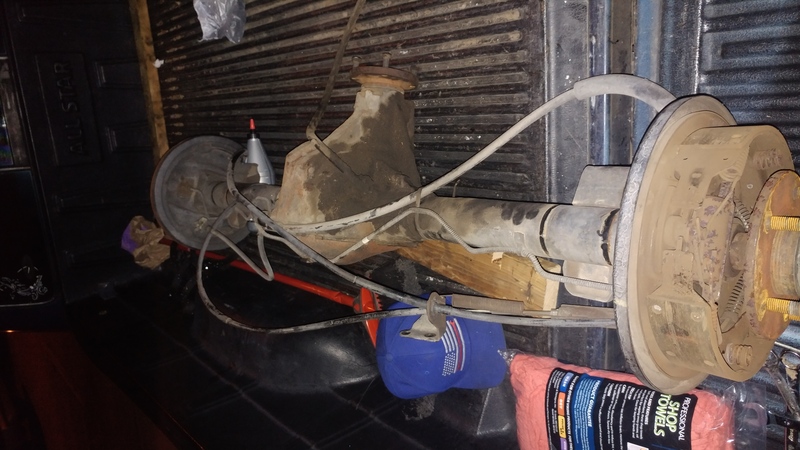 I myself am learning to work on vehicles as i go with this truck, and needed it fixed in one weekend, so i was short options and picked up a rear diff out of an s10. Turns out it was a 2wd pickup, which is i believe 4" narrower than a 4wd rear. We took the 3.42 gears and put em in our rear end, overspent a bit but it was done in time. Rear end picks up great now. Welcome to the forum! You can surely find a lot of useful information here. I will be following this build for sure. I am glad that you got it back up and running.